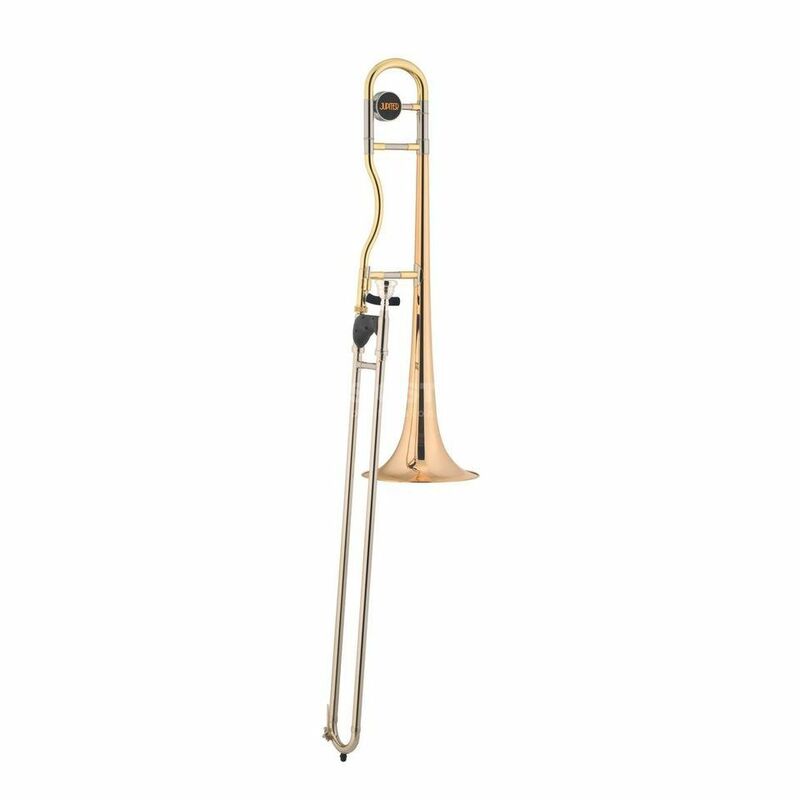 The Jupiter JP-438RL-Q is a Junior Bb Trombone, with a gold brass bell, nickel silver outer slides, a lacquered finish, and includes a mouthpiece and luxury case. With its ergonomic shape, the handle and the adjustable thumb hook, this instrument was developed specifically for children and adolescents. It bends just before with smaller trombonist poor posture. Many trombonists prefer because of the softer sound a bell made ? ?of gold brass. This feature has the trombone "Ergonomic" model 438RL-Q and it provides a rich, clear sound.